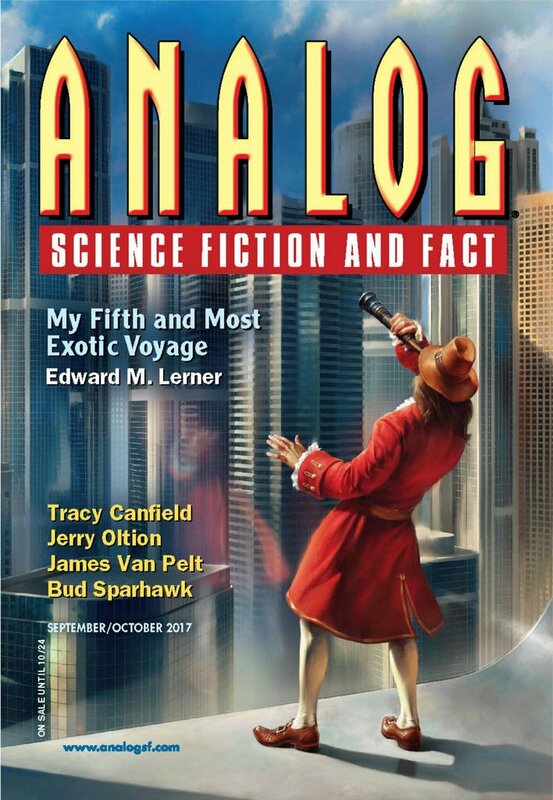 "Viktor Frankenstein&apos;s Bar and Grill and Twenty-Four-Hour Roadside Emporium," by Michael F. Flynn [bio] (edited by Trevor Quachri), appeared in Analog Science Fiction and Fact issue 09-10|17, published on August 17, 2017 by Penny Publications. Pro: The joke that the ordinary humans are more frightening than the real monsters is mildly amusing. Con: The piece is played entirely for laughs, but it just isn’t very funny.